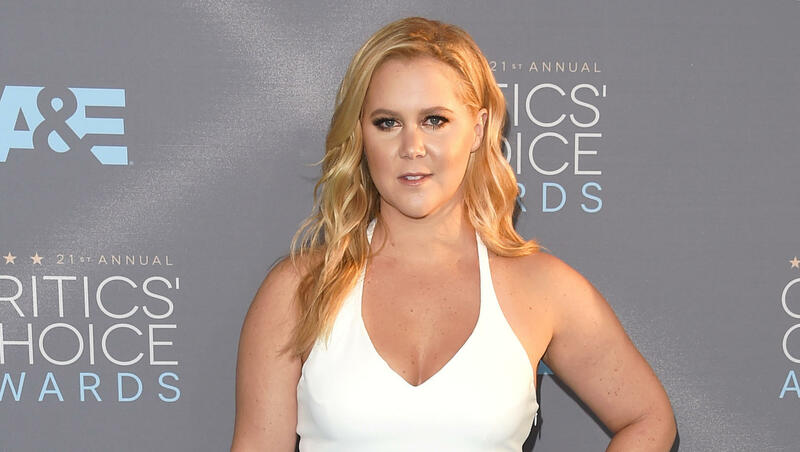 Amy Schumer to make Broadway debut in Steve Martin's "Meteor Shower"
Amy Schumer is making her Broadway debut. The comedian will star in a new play this fall called "Meteor Shower" by Steve Martin. The comedy follows two couples who get together for "an evening of stargazing and sparring" in an Ojai, California backyard in 1993, reports the New York Times. Laura Benanti, who won a Tony for her performance in "Gypsy," Keegan-Michael Key of "Key & Peele" and Alan Tudyk of "Firefly" will fill out the rest of the cast. Martin told the Times that he approached Schumer at a party at her house and asked her to read the script. Schumer had once performed in a production of another one of his plays, "Picasso at the Lapin Agile." Schumer's decision to join the cast reportedly gave the play the star power it needed to get to Broadway. This is the second of Martin's plays to go to Broadway; the other was the musical "Bright Star." He said, "I can't tell you how excited I am. I've been working on this for over 20 years — I wrote it in the '90s, when it is set, but I didn't finish it, I got distracted, and then it came back to me a couple of years ago." Tudyk and Benanti are Broadway vets, but Schumer isn't the only one making a Broadway debut. "Meteor Shower" will also mark Key's first time on Broadway, though he is currently acting in "Hamlet" at the Public Theater in New York. The classically-trained actor, who has a master's degree in theater, recently talked to "CBS This Morning" about his path to playing Horatio in Shakespeare's "Hamlet." "I thought I was going to be a dramatic actor my entire career and it ended up being that I went on this 19-year detour into sketch comedy that was delightful and wonderful but actually unexpected," he said. "Meteor Shower" is to begin previews Nov. 1 and open Nov. 29 at the Booth Theater.